In the past few years, food waste recycling approaches have become more innovative, both with residential food waste and large-scale food waste from businesses and enterprises. The hierarchy proposed by the Environmental Protection Agency (EPA) offers a great source for thinking of food waste reduction methods and today we’ll take a look at them. 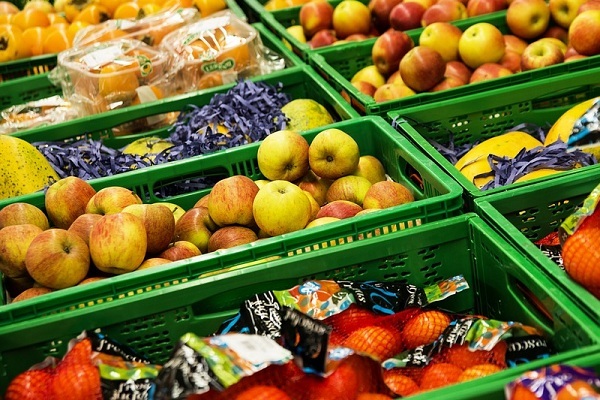 The bright example of source reduction may be a supermarket with a following strategy of food waste resource decreasing to stop food waste from entering their waste stream. This strategy may include approaches like lowering the amount of food moved by delivery trucks to individual shops every day, rather than rare deliveries of bigger quantities of food. The outcome is that once supplied to the shop, produce stays fresher for longer and creates less waste. To reduce the amount of your food waste, share products that are not fit for sale, but still secure for intake, with your local food banks financial institutions, food pantries as well as soup cooking areas. The receivers distribute the shared products to people in need. It’s far better to help people with good products and food that would otherwise have gone to landfill. With correct and secure handling, anyone can contribute food scraps to animals. This could conserve big amounts of money both farmers and companies. It is often more affordable to feed animals food scraps as opposed to having them hauled to a landfill. Companies can additionally give food to zoos or manufacturers that make pet or animal food. There are several opportunities to feed animals, help the environment and reduce costs. Industrial uses describe methods that allow to produce power from food scraps. The first method is anaerobic digestion, which transforms food waste right into energy and fertilizer. Some wastewater centers are equipped with anaerobic digesters to treat wastewater, and also the special microbes with the ability of digesting food waster and render the wastewater inert. For instance, iSustain Recycling provides anaerobic digestion among its services. Even when everything has been done to use your wasted food, certain inedible parts may still remain and can be turned into compost. Compost is added to soil to improve its physical properties. This method of food waste management create a product that can be used to help improve soils, grow the next generation of crops, and improve water quality. Whether you currently have a food scrap recycling program or not, a call to iSustain is worth your while. We can often find additional recycling options for both your food and non-food manufacturing waste. With you, it is possible to eliminate landfills. Contact us today, and our professionals will develop a solution.